WHERE: Mimico Creek, between Van Dusen Blvd and Orchard Crescent. WHEN: Between 3–4:00 p.m. on Saturday, March 5. 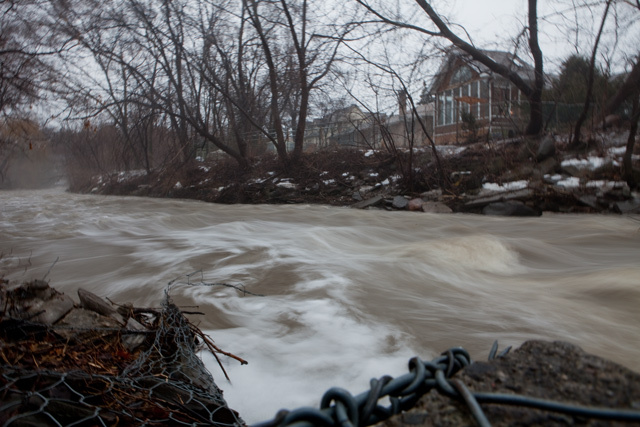 WHAT: They weren’t kidding with those rain warnings: rivers and creeks across Toronto are swelling and running in torrents, dislodging ice and bruising the banks along the way. The weather alerts have ended for now, but the water is still running dangerously fast, so stay well clear of the edges.